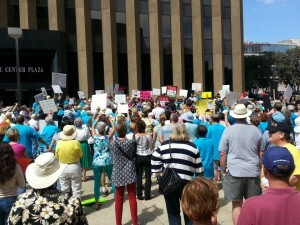 Yesterday a massive rally was held, part of the kickoff of the recall drive against Filner. By all accounts it was not only well attended, but it was both a bipartisan and non-partisan affair, with San Diegans of all (and no) political stripes coming together to sign recall petitions. That having been said, qualifying a recall of Filner is no simple thing, even for someone in the middle of the quagmire in which the new Mayor finds himself. The process gives proponents of a recall roughly 40 days (and 40 nights) to gather 100,000 or so valid signatures of registered City of San Diego voters. Clearly the effort will have to go beyond merely grassroots volunteer signature gathering, but there is every reason to believe that it will. I have heard three reasonable answers to that question. The first is that he has such a large ego that he is not about to give up his office — that he is so full of himself that he cannot read the writing on the wall. 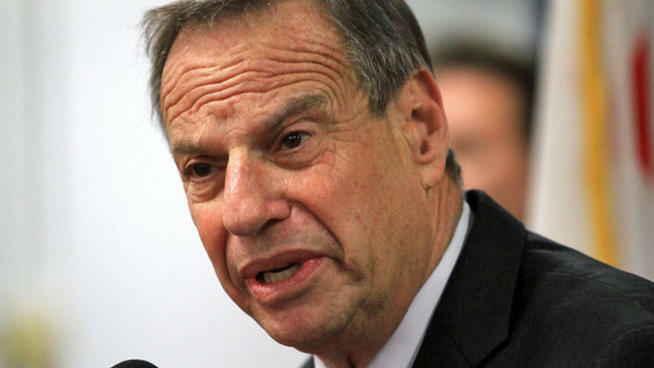 The second is that, I am told, he has just a few more months before Filner hits an important timing milestone for his public pension, and that he is holding out so that he can retire with a much better retirement pay. The last reason that I have heard, which frankly makes the most sense to me, is the ongoing criminal investigation taking place surrounding the Mayor’s alleged activities. At least one of the public accusations that I have heard could potentially have the elements of a sexual battery charge. We have seen many, many cases where public officials, who are facing criminal charges, settle the case with a plea bargain that includes resignation from office. If Filner leaves office before he is charged, he gives up a very large “chit” to hand to prosecutors to trade for a better sentencing deal. I know it is startling to have this sort of analysis taking place — but no less startling than this entire Filner scandal. Regardless of whether Filner’s reason for staying put is one of those above, or some other that I have missed, it doesn’t change one immutable fact — if Mayor Filner refuses to step down, even in the face of what be an inevitable recall election, he will likely be handing the office of Mayor to a Republican successor — probably former San Diego Councilman Carl DeMaio. You see, if Filner were to resign from office, this would create a “normal” special election scenario — which would involve first a free-for-all election followed by a run-off between the top two vote-getters (you have to figure no one would get over a majority of all votes cast in the first election). In this kind of a race — it’s an open field. 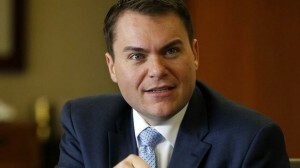 Former candidates DeMaio and ex-Assemblyman Nathan Fletcher, now a Democrat, would likely run and both start out with the most name identification. But other candidates like Democrat Council President Todd Gloria and Republican Councilman Kevin Faulconer would almost certainly look at the race. But in a recall, you have one election, with a two-question ballot. The first question, of course, is whether or not you want to recall Filner. The second question is for whom you cast your vote if Filner is recalled. In that special recall election, the top vote getter, without the need for a runoff, is elected to fill out the Mayor’s unexpired term. Well, even with a case as notorious as the one facing Filner, a certain percentage of voters, mostly Democrats, will not want to recall him. Whether because of a desire to afford Filner “due process” — or fear of losing the Mayor’s office to a GOPer, there will be voters who oppose the recall. And as we saw in the statewide recall of ex-Governor Gray Davis years ago, a significant percentage of those who vote against the recall of a politician simply do not vote on the other question – the potential replacement. Look at the last election results — only a few points separated Filner from DeMaio — and that was with the broad turnout of a Presidential general election. Shrink that turnout to one that is much smaller, and even just a small percentage of Democrat voters choosing not to vote for, say, Nathan Fletcher or Todd Gloria, is more than enough to hand the Mayor’s office to Carl DeMaio. I should probably add that if DeMaio were to not put his name forward in a recall election, which would shock me, that if Republicans can unify behind one credible candidate, perhaps Faulconer, that the scenario I just painted likely still occurs. Who knows? Maybe if things get to a point where the recall drive is obviously going to meet its goal, Filner suddenly resigns. I don’t think that is likely, however. Ironically, the best hope for Democrats in San Diego at this point is that whatever investigating of Filner is taking place by law enforcement officials comes to a quick conclusion and that the Mayor get’s charged, and has time to cut a deal, quickly. The wheels of justice don’t necessary turn that quickly, however. Yeah, it’s going to keep getting worse. This entry was posted on Sunday, August 18th, 2013 at 10:48 pm and is filed under Blog Posts.